This release should be a useful one for a variety of games and periods, basically anywhere that you'd have found wooden houses and fire! There's two slightly different types in the pack and the chimneys are separate pieces so you can choose whether to put them in or not. The left-hand ruin measures 70x50mm, and the right-hand one is 75x50mm. 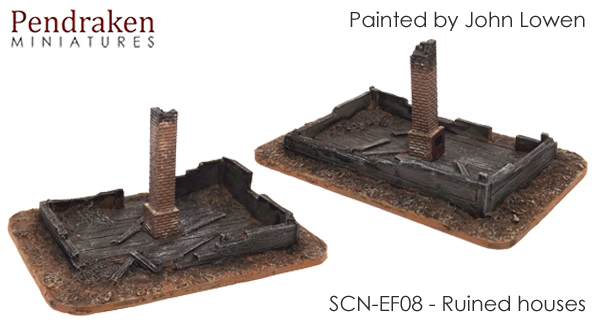 The chimneys are 30mm tall.